The Parkinson’s Foundation has enrolled its 10,000th participant in the Parkinson’s Outcomes Project, the largest-ever clinical study of Parkinson’s disease (PD) spanning five nations. Started in 2009, the project studies everyone with PD, from the newly-diagnosed to people who have lived with Parkinson’s for 20 years or more, and aims to provide a comprehensive view of the disease and its overall impact on people’s lives. Among the key conclusions so far, the research has shown that regular visits to neurologists, such as those at a health and wellness center, could save thousands of lives a year. Additionally, more exercise and focus on mental health could help improve patients’ well-being. Researchers have been using the Parkinson’s Foundation’s Centers of Excellence network of 42 medical centers to enroll patients in the study. The Parkinson’s Outcomes Project includes over 100 people who have lived with PD for more than 30 years, more than 500 who have lived with PD for 20 years or more, and 83 who learned about their diagnosis before they were 30 years old (Young Onset Parkinson’s patients). The database includes information from 25,000 visits to doctors and from almost 9,000 caregivers. The project’s mission is to determine what works best in treatment with an aim toward slowing the impact of the disease. PD is a progressive neurodegenerative condition that is expected to double worldwide by 2042 to more than 12 million. Here is a list of key findings from the study so far. Depression is one of the most common non-movement symptoms of PD, with up to 60 percent of patients affected at one time or another. Diagnosis and management of depression in PD is important, as depression causes significant morbidity in terms of quality of life, disability, and stress for individuals with PD and their caregivers. Physicians should screen for depression at least once a year, and you should discuss any change in your mood with a healthcare professional and make sure your Parkinson’s doctor is aware. Several studies have demonstrated that PD patients who received neurologist care have reduced risk of hip/pelvic fracture, decreased or delayed need for nursing home placement, and improved clinical outcomes compared with primary care physician-treated subjects. In a 2011 study, only 58 percent of 138,000 Parkinson’s-related difficulties led to neurologist care. African American women, African American men, and white females patients are more likely to be treated by primary care physicians specializing in internal medicine, family practice, or geriatric care physicians. Increasing exercise and movement to at least 2 1/2 hours a week can slow the decline in patients’ quality of life. The study matched patients who had started Parkinson’s physical therapy and exercise early versus those who had started late and found the change in health status consistently worsened for those who delayed starting an exercise program. The Parkinson’s Outcomes Project validates other research showing that the type of exercise is less important than frequency. Any exercise program or physical therapy routines for PD should focus on maintaining balance and mobility, which helps individuals maintain the ability to perform daily tasks. A well-designed exercise plan can significantly improve almost everything about your health, including stabilizing walking, calming tremor, improving mood, and possibly even slowing progression of the disease. The Parkinson’s Foundation recently established the Women and PD Initiative to address significant gender differences in the experience of PD. The Parkinson’s Outcomes Project found that women with PD have significantly less access to caregiving support than men with the disease. Women reported they were twice as likely as men to have a paid caregiver. Eighty-four percent of men identified a spouse as the primary caregiver compared to only 67% of women, and 20% of women reported having no caregiver at all. Identifying how to best provide day-to-day care, especially to women, will help improve the quality of life for those living with PD. 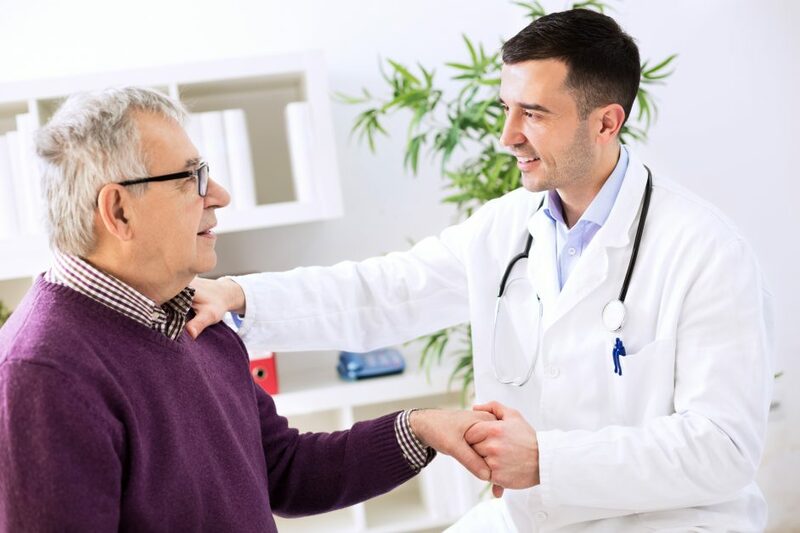 The Neurology Solutions wellness center is accepting new patients seeking a specialist in treating Parkinson’s disease, dystonia, essential tremor, and age-related disorders affecting movement. If you would like to schedule a movement disorder specialist consultation, please contact Neurology Solutions by email or call 512-865-6310 to schedule an appointment. Neurology Solutions offers a Neuroscience blog designed to educate patients and the community at large on various areas of metabolism and promote longer and better quality of life for individuals with neurodegenerative disorders. Our Parkinson’s physical therapy plan can help those seeking better quality of life during the course of the disease, including few injuries. Stay informed by frequenting health and wellness center’s blog and follow Neurology Solutions’ Youtube page to be notified of educational videos on lifestyle and treatment options for movement disorders. Join Neurology Solutions Movement Disorders Center’s email list to stay up to date on the latest in treatment and how to manage stress, stay healthy, and maintain quality of life while living with a movement disorder.